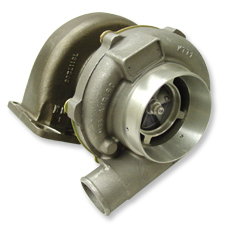 Garrett by Honeywell is currently the industry leader and the standard in providing ultra-reliable, ultra-high-performance turbos, the Garrett Engineering Team has done it again. Always leading the pack in setting new standards, this latest iteration of turbo innovation comes from applying decades of turbocharger experience and utilizing some of the most technologically advanced tools to model, develop, and test new combinations. wheels are forged and machined (happens to have the "billet" look), or once they are sent through the traditional cast process (to reduce cost to you while performance is maintained), The Garrett GTX turbos will allow you to set new performance standards and take your turbo application to new heights.